Have you ever tried skincare products so luxe, so amazing, you really wished you could speak with the founder of the line? Well, that's how I feel about skyn ICELAND. And luckily, this week's First Look Fridays column features none other than the line's founder, Sarah Kugelman! skyn ICELAND is the product of almost two years of research, development and hard work, and Sarah is an utterly fascinating gal to boot! Check out how she first became interested in beauty, her skincare tips and so much more after the jump. Can you tell me a little about skyn ICELAND? It is the first and only skincare line that treats the effects of stress on skin. Stressed skin is damaged skin which needs to be healed, replenished, soothed and brought back into balance. Some of the key signs of stressed skin are adult acne, premature aging and hyper-sensitivity. It was born out of a very personal health crisis (stress related of course!) and has become my tool to teach people how to reduce stress and live a happier, healthier, more beautiful life. I've been interested in beauty my whole life. I grew up in a family of brainiacs and was always chastised for sitting around reading fashion magazines. Then I went to an Ivy League school and everyone forgave me. I used my degree to break into the business and when I did, I had this incredible archive of knowledge from all the years I had been reading about beauty. I started my career in marketing and then ended up having many roles where product development was incorporated into my job. It's the best part of being in this industry -- getting to play with product! When did you create skyn ICELAND, and how did it grow from an idea to reality? I spent 18 months researching the connection between stress and skin. I also put together a board of experts to help research my suspicions about stress and skin which included a dermatologist, cardiologist, nutritionist, fitness expert, psychologist, holistic health counselor, kinesiologist. When I realized there was a direct connection (what was going on on the inside of our body affected the outside) and I saw fashion magazines starting to focus on stress and skin but yet saw there were no products in the marketplace that addressed this phenomenon, I knew I was on to something and put my money where my mouth was! 1) Selling my first company, Gloss.com, to The Estee Lauder Companies. 2) Winning the 2007 CEW annual Indie brand of the year award for skyn ICELAND. 3) Being a finalist in the Fashion Group's beauty entrepreneur of the year award. 4) Getting my first reorder from a retailer! What are your top 3 skincare tips? 1) Stay out of the sun! 2) Get 7 hours or more of sleep a night. What is your favorite skyn ICELAND product and why? skyn ICELAND Oxygen Infusion Night Cream. It is the one product that completely transforms my skin every day. It is the most wonderful and pampering texture. The scent is divine and totally soothing and the results are spectacular. I go to bed looking drained, exhausted and worn out and wake up looking refreshed, glowing and radiant. What other product does that? 1) I love John Masters Organics for hair products, they are natural and healthy. 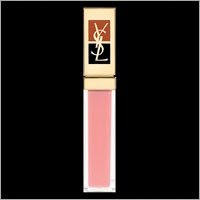 2) I love YSL makeup (I'm a confirmed lip gloss junkie). 3) LOVE Mariage Freres candles. 5) I'm still searching for the best natural body cream! Being in control of my own schedule and answering to myself. I run my business as I see fit and don't have to deal with corporate politics, critics of my ideas who will water down my brand and destroy my brand vision, and working with people I don't like. I have the best team of people that are totally committed to me and it's what gets me out of bed even on the worst days. Mostly spend time with my 22-month-old daughter who is the light of my life. I don't have time for much else other than yoga and movies with my husband. I'm very involved with raising money for cancer research, I wouldn't say I do it for fun, but it's something I'm very passionate about and am devoting more of my professional and personal time to do. I first started using skyn iceland two years ago to buy a new moisturizing eye creme! Love it! Beware before any waxing, I had a crazy reaction!